HP. The street art scene, globally, has changed radically in recent years with more presence of urban artists in galleries and millions of followers internationally. How do you see this new urban art scene and how do you see yourself inside it? EP. I see a very complete and diverse scene, more and more talented artists, festivals, blogs, galleries are growing every day and I hope It will continue like this. I see myself painting and traveling the world as I have done these last 15 years. HP. How do you see your evolution as an artist beyond the iconic image for what thousands of people knows you. The truth is that I still get surprised about by my evolution, I never projected myself living out of art, It is something that came up by itself, although, it is true, that from the moment I started to live out of art I toke it very seriously, as my profession. HP.Tell us a little about what you are working on now: projects, collaborations and plans for the future. 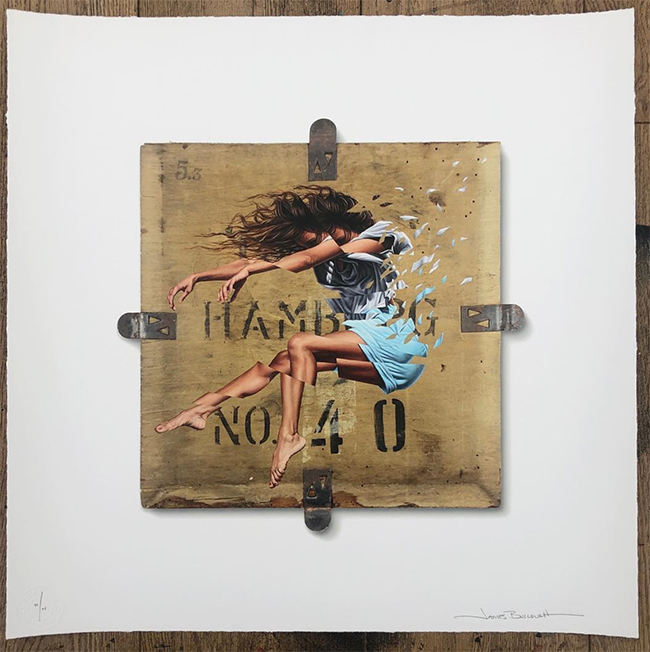 At this time we have just launched a new limited series of screen prints with an England gallery called Graffitiprints.com. Next July I will be doing several private commissions and I also traveling to exhibit in France, in St Tropez, I ll be in the Miau festival, Fanzara and in late July I will be painting in the Arnau Gallery in the Paralel of Barcelona, Spain with Jloca . HP. Thanks a lot and keep smiling.